Since 1984, with the opening of the first Photon center in Dallas, Texas, the laser tag industry has grown immensely. According to recent studies, laser tag is an over $375 million dollar a year industry in North America alone. Today in the U.S. an estimated 4.9 million laser tag experiences happen each month at more than 880 locations. Laser tag is not only popular, but profitable, and appeals to players of many ages and interests, whether they are looking for fantasy, social interaction, teamwork, competition or just plain fun. Mickey Cogan, general manager, Gable House Bowl in Torrance, Calif., where Laser Storm is offered. Birthday parties are booked six to eight weeks out at the center. “We are really growing,” said Shaun Woods, assistant manager of Laser Quest in Newington, Conn. “We have people coming for years and we are still getting new people.” Woods estimated that his laser tag facility logs 700 plays a week. The majority of facilities cite their primary guests as between the ages of 6 and 14. “Most of our business comes from children’s birthday parties,” Woods said, and his 4,000-square-foot center recommends players be 7 and older because play packs weigh 9 pounds each. 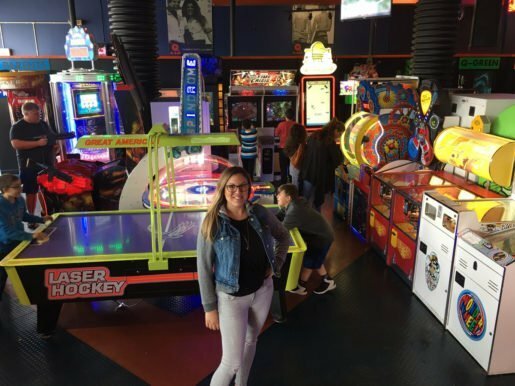 General Manager of Q-Zar in Carle Place, N.Y., Jennifer Pietro, indicated that the largest demographic group at her laser tag center is children between 5 and 12 years old. Jennifer Pietro, general manager of Q-Zar in Carle Place, N.Y. The center mainly hosts laser tag players ages 5-12. Laser tag guests tend to reserve time rather than simply walk in and play. 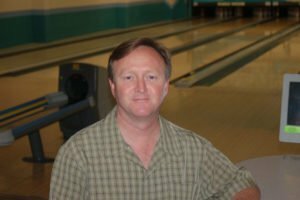 So if reservations, particularly party reservations, are the name of the game, how should laser tag centers up their ante and host the perfect laser tag party? Safety is a top priority with any physical activity, particularly involving children. Facilities have staff and referees involved, depending on the size of the parties, who can enforce rules and also keep a watchful eye on players to ensure that they are not engaging in any unsafe behavior that could cause a possible injury. Catanzaro promotes Laser Planet, which entertains thousands of visitors each year, through its website, local newspapers, television, billboards, and Groupon. “A lot of our business is word of mouth,” he added. Laser Planet is also a field trip destination for area park and recreation departments, generally running from late June through mid-August. Lock-ins are another marketing vehicle for numerous laser tag centers. Players can enjoy unlimited play during a set time as well as refreshments. Also, like any savvy business, laser tag facilities utilize websites and social media such as Facebook and Twitter to promote their business. To reach new guests, Baileys Crossroads also implements targeted advertising. And several times a year, Laser Quest Newington focuses on different groups such as youth and sports to gauge their interest or questions. As with all advertising, the best method is word of mouth. “If we provide good service, and people have a good time, then they will tell other people,” said Woods. So it seems that hosting a perfect laser tag party means generating even more parties and revenue.